Christmas cookie baking may get the most attention, but I think there is nothing quite so festive as a spot of candy making. 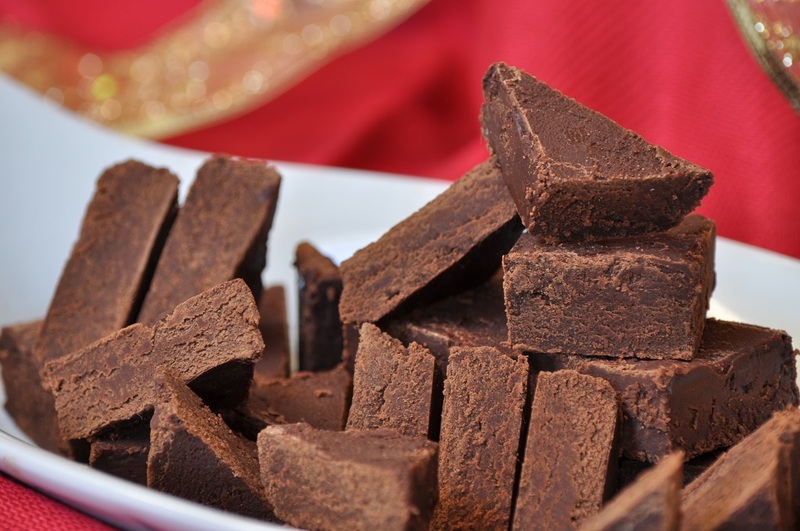 Fudge, in particular, seems perfectly suited to the holiday time of year. Now, with that said, I’ll confess that this is only the second time that I’ve ever made fudge for Christmas. I had never before been able to find a recipe that measured up to my ideal. 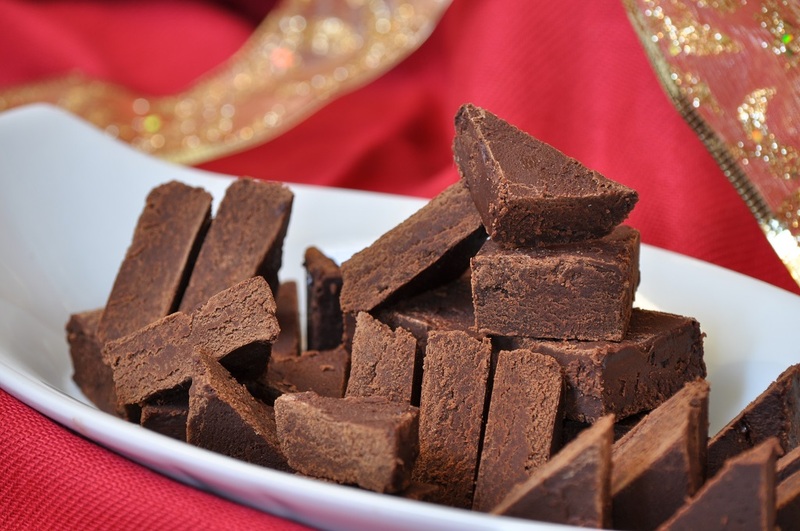 All fudge recipes fell short in two critical areas: too much sweetness and not enough flavour. I’ve always loved the texture of fudge, but without taste to match, I wasn’t willing to give it a permanent place on my holiday rotation. Fudge, I decided, was suffering from the no-cook, hurry-up version and its free-flowing inclusion of sweetened condensed milk; also, from an outpouring of corn syrup, with all its rosy promises of no crystallization and a resulting smooth texture. Corn syrup, in my opinion, is the worst thing to have ever plundered its way into a baker’s cupboard. I can’t speak to the supposed health hazards, but I do know that corn syrup adds absolutely nothing in the way of flavour, and that its choking sweetness is the surest way of destroying any real hope of success in the kitchen. Honestly, have you ever tried licking a spoon after you’ve dipped it into a jar of corn syrup? Do it, and then try a similar experiment with honey, maple syrup, or just plain old sugar. Corn syrup isn’t merely lacking in flavour; it actually tastes bad. 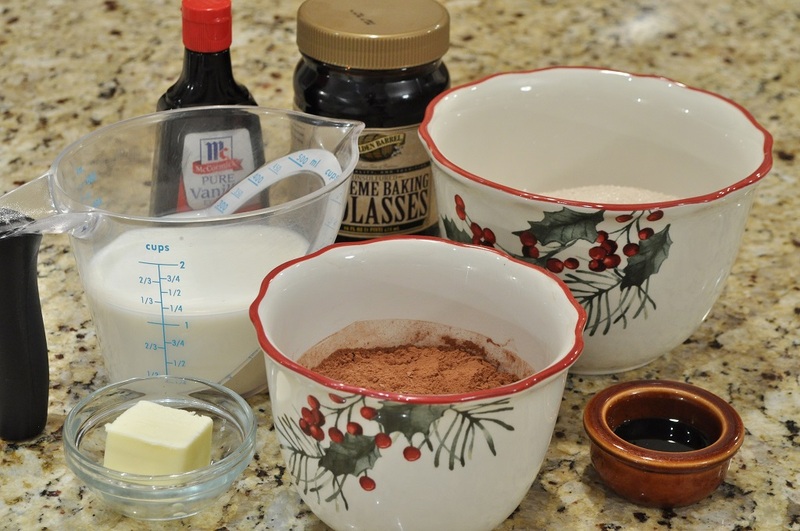 While leafing through my pile of antique cookbooks, where candy is usually allotted more pages than vegetable dishes, I noticed that many of the fudge recipes called for adding molasses. This sounded sensible to me, as the bitterness of molasses would help curb the sweetness of the fudge, rather than exacerbating the problem like corn syrup or sweetened condensed milk would. One especially promising recipe, in addition to a touch of molasses, used three-quarters of a cup of cocoa powder for flavouring. And if three-quarters of a cup of cocoa powder couldn’t make a chocolate fudge that actually tasted like chocolate fudge—well, then the thing was hopeless. So I made it. And at last, I had fudge with strong chocolate flavour and a judicial balance of sweetness. I’m not sure that this is a good thing. It’s far too easy to eat one piece, then another, and another . . . This fudge is my contribution to the Shop Local challenge at Elizabeth’s Kitchen Diary this month. I recently discovered locally made molasses at my Pennsylvania Dutch market—I hadn’t known that such a thing existed! The company is called Golden Barrel and is based in Lancaster County, which neighbors my home county of Bucks. I’ve always loved honey and maple syrup because you can buy them locally, and now I can add molasses to the list as well. I further updated and re-worked this recipe for my cookbook of vintage Bucks County recipes, Potato Pie and Cherry Pickle, which was published June 28, 2014. Find the improved version here. 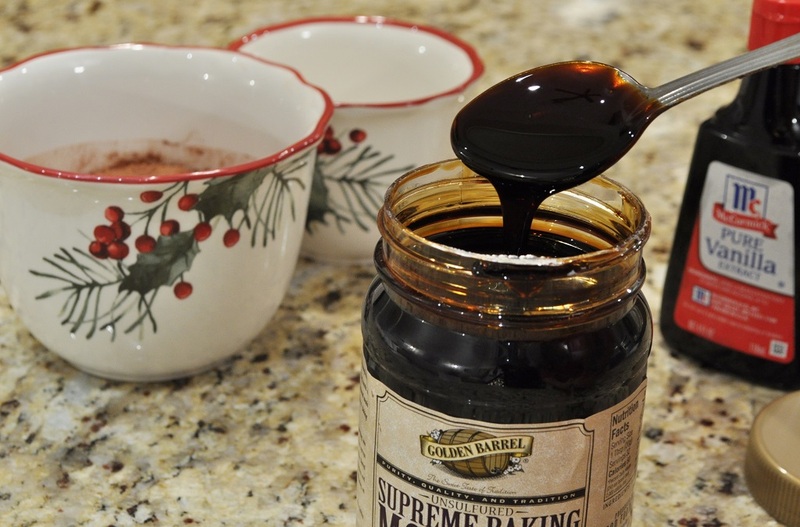 Combine the sugar, milk, butter, and molasses in a large saucepan, and bring to a boil over medium heat. 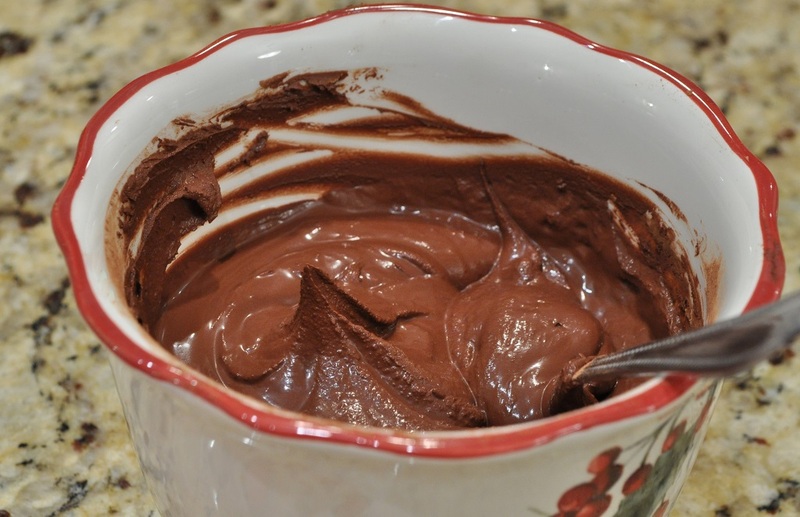 In a small bowl, whisk together the cocoa powder and water to a smooth paste. 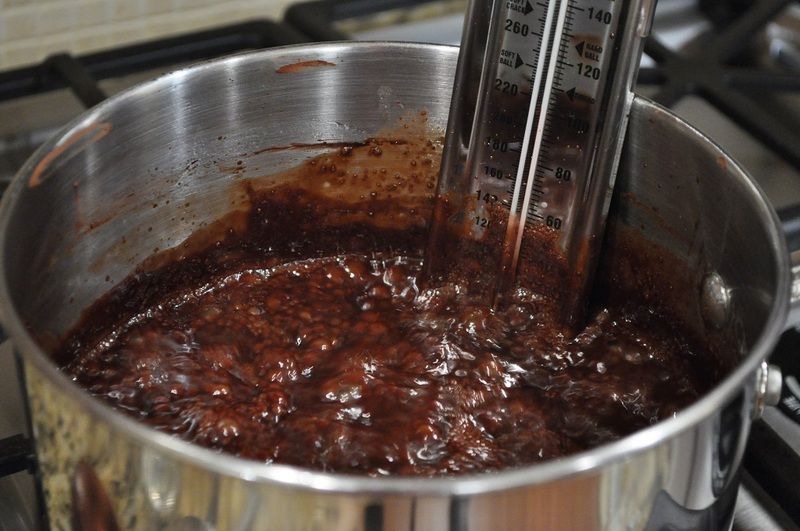 Once the contents of the saucepan are boiling, stir in the cocoa paste, and then bring the mixture back up to a boil. Allow the fudge to bubble away for about half an hour, until a small amount dropped in ice water can be formed into a soft ball. Give the boiling mixture an occasional stir, just to make sure that the bottom of the pan doesn’t scorch. Remove the pan from the heat and stir in the vanilla extract. Beat the fudge with a sturdy wooden spoon until it loses its sheen and becomes stiff, 14 to 16 minutes. Spread the thickened mixture in the buttered pan and let it stand until completely set, several hours or overnight. Cut into squares or triangles with a sharp, thin knife, dipping the blade into hot water between cuts. Store the pieces of fudge in an airtight container. Mmmm mmm! I’m not really a big fan of fudge either. I usually just make a chocolate fudge once a year at Christmas time (cheating using condensed milk) but this sounds heavenly! 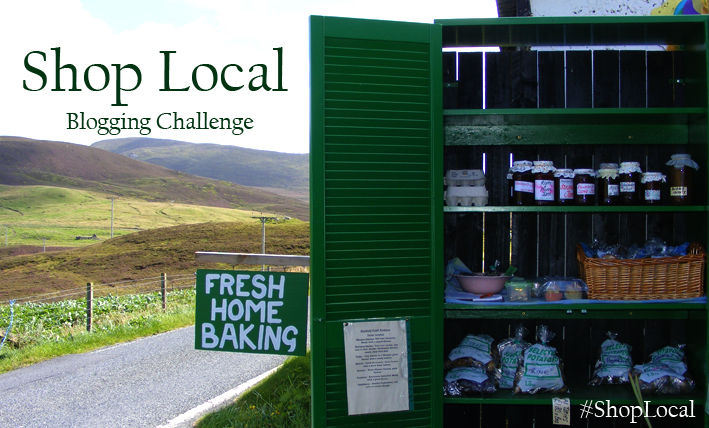 Thank you for sharing with Shop Local. I hope you had a fantastic New Year and I wish you all the best for 2014. I’m afraid I’m now hooked on fudge making as well! This recipe completely converted me. Cocoa molasses! I’d never heard of it before. But I’m sure it would make delicious fudge. This looks awesome. I’m looking forward to trying it. 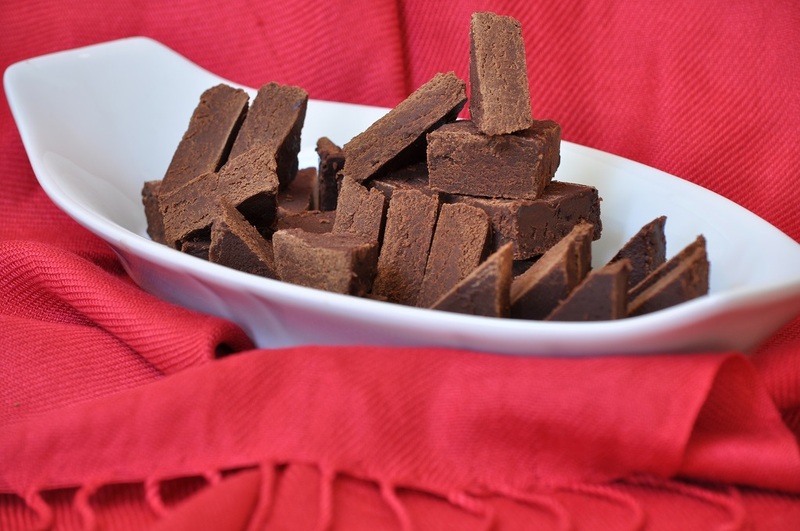 I feel the same way as you about fudge … love the creamy consistency but am usually not happy with how sweet they are and too that they use artificial ingredients like marshmallow fluff, etc. So true! I especially don’t like the recipes that call for sweetened condensed milk–it seems like taking a shortcut and makes the fudge too cloying. I hate corn syrup, even though I have never bought or used or even tasted any. But knowing of the health hazards is such a turnoff. That’s why I strived to make my candy apples without corn syrup and they were great. I posted it on my blog and it’s amazing. I shall try your recipe, it sounds good. Good for you for finding a way to make candy apples without corn syrup (they look lovely, by the way). I always avoid using corn syrup, even in caramel recipes. Not only is it healthier, but honey or golden syrup just taste so much better!